insureCOURIER, part of The County Group have over 300 members of staff who all participate towards our fantastic local broker ethos. 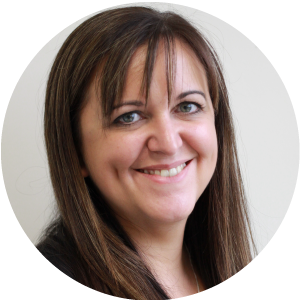 Get to know our fantastic Branch Director, Gemma! 1) What is your name, job title and location (branch)? My name is Gemma Milburn and I am the Branch Director of our Crewe office. 2) How long have you been working in insurance for? I have worked in the industry in various roles for 20 years….I know I don’t look old enough! 3) What does your job entail? My job is overseeing the Fleet and Personal Lines (including courier) departments, ensuring they deliver excellent service to our customers and meeting all their Insurance needs. I also liaise with Insurers to make sure we are offering excellent products and competitive prices for our customers. 4) How did you get in to insurance? I left college with my A levels and decided I wanted to start my career rather than to continue in education. My first full time job was as an office junior in an Insurance office, where I learnt the ropes. From there I have been fortunate enough to gain additional responsibilities which has led to more senior roles within the industry. 5) Favourite part of the job? My favourite part of my job is the people that I work with. I love leading and developing them to their full potential and watching them thrive and grow in their roles. 6) What is it like being part of The County Group? Being part of the County Group is like being part of a big family. Its values around delivering an excellent service to its customers is something that I am also passionate about, so it’s a win win!! 7) Why should potential customers take out their insurance with you? My team all have excellent Insurance knowledge, being able to offer technical and honest advice, to ensure we offer the best products to suit your needs. My team will also look after you throughout the whole lifetime of your policies with us, giving you that personal touch whenever you need it. 8) Particular insurance policies/ schemes that are competitive at your branch – As well as Courier Insurance, we are especially competitive on Home Insurance, Property Owners Insurance and Horsebox. My Fleet team have access to a large cross section of Insurer, being able to offer competitive rates on excellent levels of cover. We can also offer competitive rates on GAP cover for both fleet and personal car Insurance. For more details on any of our courier insurance policies, Gemma and the team will be more than happy to help! Give her a call on 01270 506999.